From my personal experience, an open house does a lot for the listing/selling agent and the homeowner. Open houses are beneficial to agents by picking up buyer leads – may it be an unqualified buyer, or one-on-one interviews with a potential client. For the homeowner, this is your time to get out of the house and distract yourself while your agent does their duty to you. Three main components a REALTOR® must have ready for the home to be listed are: 1) the condition of the property, 2) marketing the home and 3) the price range is accurate. These are vital pieces for your listing to be the fastest, selling property on the market. Written below are descriptions of where a home should be standing before, during, and after an open house and examples of how The Scenic City Team executes these areas. Upon arriving to the open house, an agent must have completed their research on the area (school info, other homes), get their word out on the property, and display their signs. The inside of your home must look great and so should the outside! I accompanied Vicki Steinberg, with The Scenic City Team, to an open house near Chester Frost Park. Upon my arrival to the property, I noticed Vicki had already begun her marketing strategy; she had placed signs at the beginning of the neighborhood and at the front of the property’s lot. Vicki informed me that she sent out emails the week before the showing, contacted neighbors about the property, and inspected the home of any materials that would distract potential buyers. Once the open house is in progress, you’ll notice that most REALTORS® provide refreshments or an informational packet, let guests know about their services, and connect with their visitors by obtaining their contact information. Within the first 5 minutes, a family walked in and started touring the home. I watched Vicki jump into action and greet her guests as they proceeded to analyze the property. She showed the home starting from the front door, progressing through the layout of the house, and ended the tour at the back door. Once in the kitchen, visitors signed a welcome sheet which they could provide their contact information. From my standpoint, I could see that Vicki was making the home showing process easier for onlookers by relating with their personalities and answering their questions about the property. The open house is closed; the agent must remember to close up the house by turning lights off and locking up afterwards. Following this, an agent will update their database with the contact information visitors have left, and they will follow up with these potential clients by notifying them of homes on the market, or updating them with weekly emails. After we were done at the open house, Vicki and I split up, turned lights off and locked doors. The open house process allowed Vicki to gain a potential lead on some new clients looking for a home in the same area. She also added their information to the KW Database, and will continue to have access to these connections for the future. 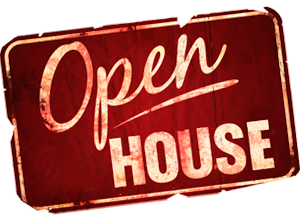 You’ve now read about what The Scenic City Team can offer for its potential clients during an open house. Do you want to put your house on the market, or want a new perspective on marketing leads? The Scenic City Team can help! Contact us at the information provided at the top of this page. We can’t wait to hear from you, and hope you have a great day!